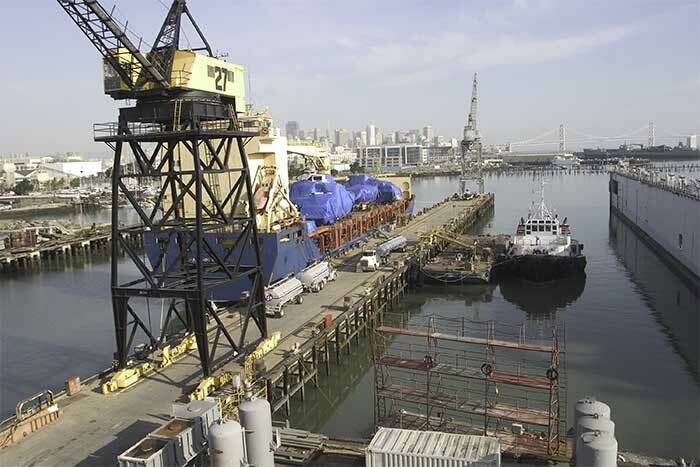 While much of Pier 70 is undergoing rehabilitation and preparation for development, it is currently being used by numerous businesses that lease dry docks, buildings and outdoor areas from the Port of San Francisco. Until very recently, approximately 15 acres of Pier 70 were leased from the Port of San Francisco for ship repair operations. 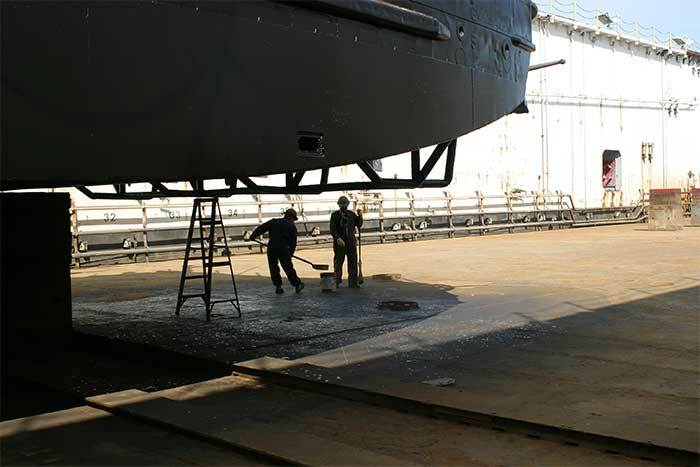 The most recent operator of the ship repair operation was Puglia Engineering Inc. Previously, BAE Systems, Inc. operated the ship repair facility for about 12 years. 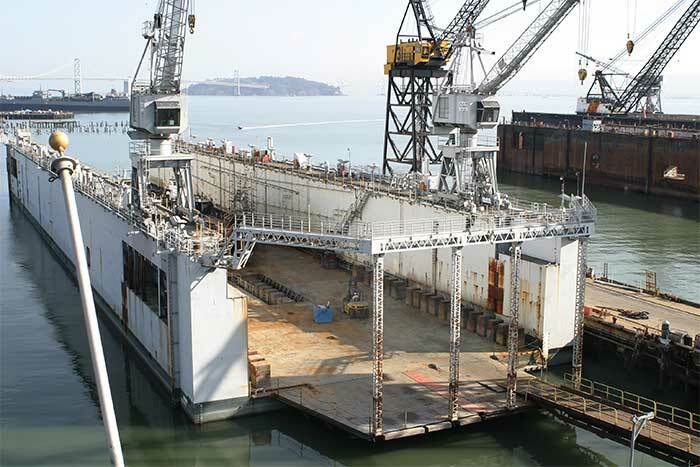 Among the largest repair facilities on the west coast, Pier 70 dry docks can handle vessels of almost any size. Maritime industrial activity at Pier 70 represents the continuation of a tradition in this location dating from the middle of the 19th Century. For more about the current status of ship repair, see this San Francisco Chronicle article. Businesses that lease facilities at Pier 70 include Affordable Self Storage and Delancey Street Foundation, which leases storage facilities. Contact the Port of San Francisco for information about leasing.